NoteWorks with Gemini version 6.4.1+ and upwards. Open your Bitbucket repository and navigate to 'Settings'. Click 'Hooks' and add a new POST hook. Ensure you specify the URL like below. Replace the AUTHCREDENTIALS with a base64 encoded apikey:username combination, where apikey is taken from the web.config. When committing files into Bitbucket simply provide a Gemini item number like so. 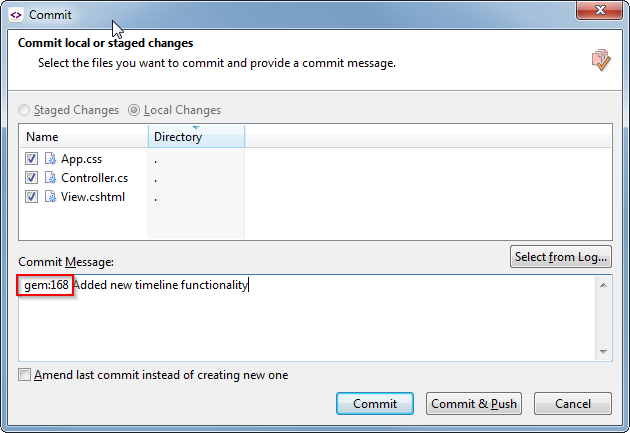 Notethe 'GEM:' prefix is mandatory and you can specify multiple Gemini items by comma-separating them as part of the commit comment message. 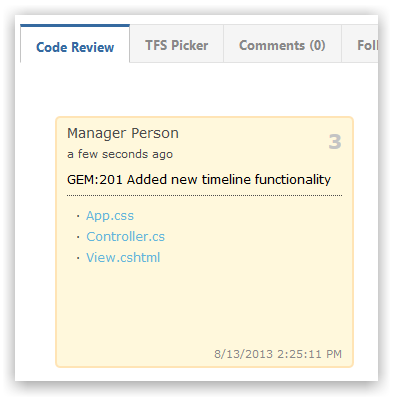 All committed files and comments appear under Code Review as follows. 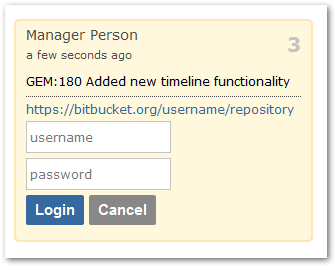 The first time you click on a file you will need to enter your Bitbucket credentials.